Check-out Magento 2 SEO Suite – our 8-in-1 extension to improve SEO practices on e-commerce sites. 1.1 Does The Default Support Magento 2 Meta Tag Template Features? 1.3 How Can Magento 2 Meta Tag Template Extension Benefit You? Thanks to Magento 2 Meta Tag Template extension, admins can easily tailor meta information with the support of WYSIWYG editor. 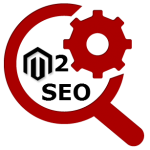 Meta information including meta title, meta keyword, and meta description is automatically displayed on the products and categories. 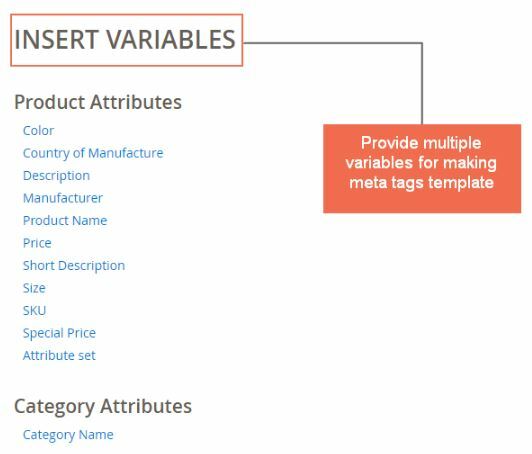 In the backend of Magento 2 Meta Tag Template extension, there are a number of product attributes (color, price, name, description, SKU, and so on) and category variables for admins to customize the meta tag template. Moreover, this Magento 2 extension enables admins to set the priority of different templates to show in one product or category page. Does The Default Support Magento 2 Meta Tag Template Features? As an SEO-friendly open source, Magento 2 Default allows the meta tag to increase the way in which search engines index your online stores. 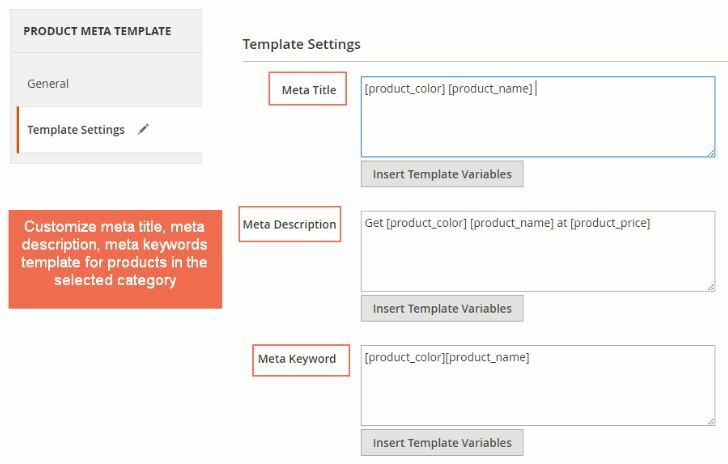 However, this Magento 2 SEO feature requires admins to manually add meta title, meta description, and meta keyword to a specific product or category page, it takes tons of time and effort. 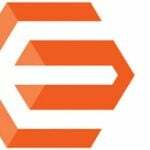 Magento 2 Meta Tag Template extension frees admins from inserting one-by-one meta information. 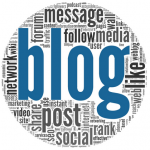 Instead, meta tags are automatically filled in various pages after several settings. Tailor the content of Magento 2 meta template (meta title, meta description, meta keyword) using WYSIWYG editors. Set the priority to avoid conflict among multiple meta tag templates added to a specific product. How Can Magento 2 Meta Tag Template Extension Benefit You? Magento 2 Meta Tag Template Extension is a must-have SEO on-page solution to enhance the appearance of websites in search engines. 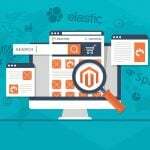 With Magento 2 Meta Tag Template extension, admins no longer waste time adding both meta title and meta description of product pages and categories manually. Instead, they easily use the configured template to automatically update meta tags for better display and management. Now let’s have a closer look at the backend of Magento 2 Meta Tags Template extension to explore how to apply bulk meta tags in some settings. 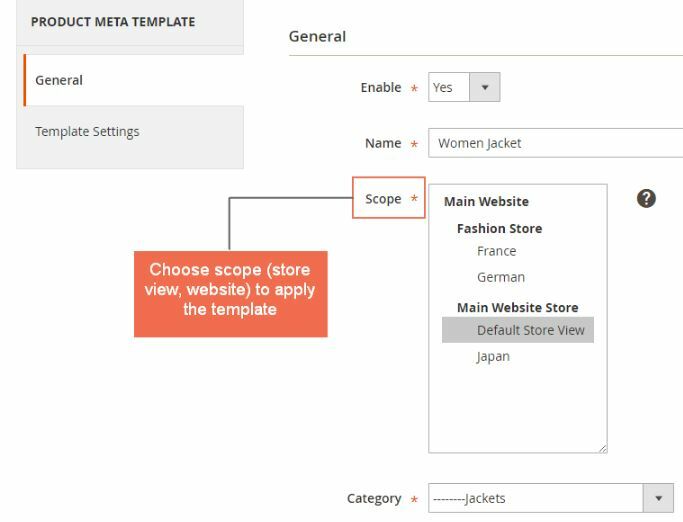 After installing Magento 2 Meta Tags Template extension, the first step to have this module worked on your sites is to follow Store ⇒ Configuration ⇒ BSSCommerce ⇒ Meta Tags Template and choose “Yes” to enable this Magento 2 extension. To make full use of Meta Tags, it is recommended that the maximum meta title is 70-71 characters, maximum meta description is around 300 characters, and meta keywords aren’t more than 30 words. Please go to Product Meta Template on SEO & Search (Marketing) tab and start configuration by choosing “Yes” in Enable field, selecting product and applied scope. In Category, admins can restrict categories to apply meta tags. One useful tip is to hold Ctrl and click for multiple-category selection. In case, there are currently existing meta data/ description on that page, admins can replace those with new meta template, apply new meta tags to products on the sub-categories pages, or set meta tags’ priority. 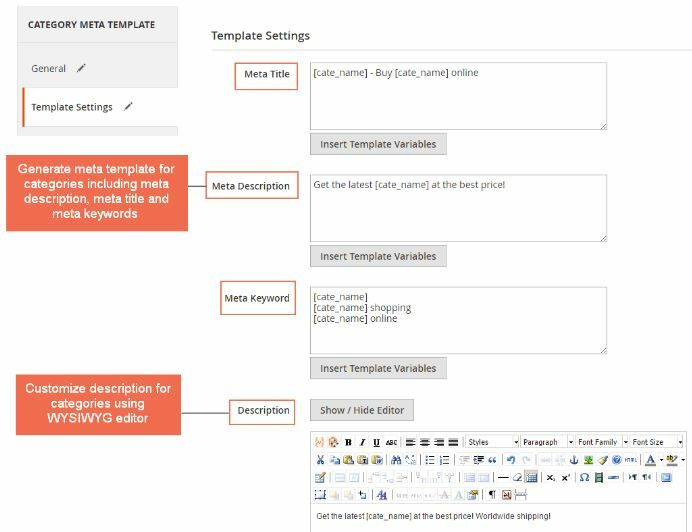 As mentioned above, Magento 2 Meta Tags Template extension supports various product attributes and category variables to customize the meta tag template; admin can write the description using WYSIWYG editors and insert existed template variables. Do not forget to click “Save Template” on finishing all settings. 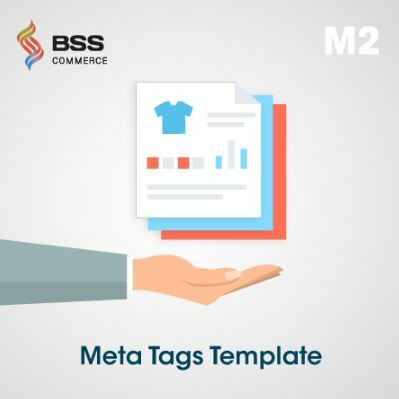 Playing a critical role in SEO improvement for any Magento 2 websites, Meta Tags Template provides more conveniently-readable content for both search engines and customers on sites. Do not hesitate to give Magento 2 Meta Tags Template extension a try and feel free to ask any further questions. BSSCommerce Support team is always willing to help you out at any time.